First the official statement by OnLive. The rumor mill is spinning wildly about what is going on at OnLive. Their official statement only confirms that their assets have been acquired by a newly-formed company that is backed by substantial funding, and they will operate on and hire back many employees and hire even more people. But who is the owner of this newly-formed company we can only guess. Joystiq's sources had some interesting things to say, though we have to take this information with a grain of salt as it's coming from disgruntled and shocked employees who were just fired. Apparently the company filled ABC (Assignment for the Benefit of Creditors) bankruptcy and laid-off most of their around 200 employees. Employees that remained included management and select members of the operations and engineering teams required to keep the service moving forward. ABC is a faster alternative to bankruptcy that doesn't involve the courts, it allows OnLive to deal with some of the issues it was facing, most notably an oversupply of servers for the number of users it had signed up as sources have revealed that OnLive only has an average peak amount of 1,800 concurrent users, though millions have signed up for an account. It looks like the new owner wants a ballast free company, therefore the ABC bankruptcy. The ABC process allows OnLive to be unshackled from the expensive server contracts and bring in a new source of venture capital. It looks like the employees were also a major cost. Beyond the loss of jobs, it turns out the stock they owned was in a company that no longer exists. Their benefits will end after August, however there are offers of contracts to answer questions about important topics like how are things at OnLive in exchange for special form stock in the new venture. Joystiq reported information from sources on how this all went down at OnLive when OnLive Founder and CEO Steve Perlman explained all this to employees. Steve said he was very, very sorry and shouldered all the blame at the company meeting. This source also said that Steve has always worked harder than anyone at OnLive and therefore has his respect as well as many others within the company. Later Joystiq published another article with more detailed information from a source about what Steve had to say at the meeting. He said, "I've been a non-stop fundraising machine. And I finally got to the point where I just could not bring in enough funding to carry this thing forward." The around 200 employees including OnLive Founder and CEO Steve Perlman were relieved of their positions in yesterday's meeting. "All of us, technically, as of today, our jobs have ended – our current jobs with this company," another administrator informed the crowd after Perlman finished speaking. Could the overscaling of server numbers have something to do with the fact that they thought they would have the OnLive App on the iPad since December and simply calculated in the huge number of iPad users. It's very dangerous to count on Apple, sometimes Apple screws you without even noticing it. They could have also calculated a faster expansion on Smart TVs and so on, and so on... It's very hard to predict the numbers when you have so many variables. Just imagine the other extreme if many of these partnerships would have gone through faster and OnLive had less servers, then another shitstorm would break out as they would have way less servers than needed. Sources say that multiple offers were made to purchase OnLive over the last few months, including one from Hewlett-Packard. Company management said it was investigating offers; however, it was widely known to employees that Perlman was looking for an offer in the range of $1 billion. Sources also say that OnLive Founder and CEO Steve Perlman wants to protect his cloud gaming patents and go to court against Sony and their acquisition, cloud gaming company Gaikai. This claim is somewhat contradicting to Steve's statements that he isn't interested in enforcing his cloud gaming patents and suing cloud gaming competitors as he wants cloud gaming to prosper. 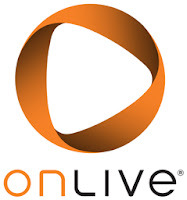 Though the new owner of OnLive has yet to be revealed, sources say the new investor appears to be a wealthy individual "impressed" with what OnLive has been able to accomplish and not a major company – this according to Perlman during an internal announcement meeting. Could Gary Lauder, a venture capitalist who runs Lauder Partners be that wealthy, extraordinary, very accomplished and well known venture capitalist? Mercury News reports that they were told by a former OnLive executive, who asked not to be named, that Lauder is among those providing the new funding. Lauder had previously invested in OnLive. It could very well be that he is the one, as he shares the same views as Steve Perlman on the passed America Invents Act, so they might very well be good friends. Of course one could speculate that the new wealthy owner is the old wealthy owner, so Steve Perlman himself or a connection of his, which could include Gary Lauder. 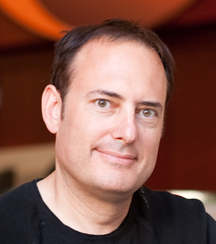 He simply paid the hefty sum of $1 to restructure OnLive into a new lean and mean company. Perhaps OnLive will re-emerge healthier after this stunt, but the PR damage and most importantly the damage done to the little trust that gamers had in OnLive and cloud gaming to date, could harm OnLive irreparably in the coming months. Based on the various reports around the net I'd say that their investor is maybe not wealthy enough. And it could well happen that this investor might get scared by this backlash of media and gamers, and simply liquidate OnLive or try to sell it to a large company. I don't think that Sony, their purchase Gaikai and other players in the cloud gaming arena can be happy with what happened to OnLive, regardless of the distasteful tweet by David Perry. Now they will have even more problems getting investments, earning the trust of publishers and developers, and most importantly the trust of gamers. Based on what the sources say that Steve declined many buyout offers by large companies one could say that he is a hard worker able to develop outstanding technology, but very headstrong when it comes to business decisions which has often put pain to his startup companies. His actions do resemble those of Hank Rearden, one of the main protagonists of Steve's favourite book Atlas Shrugged, the novel by Ayn Rand. After all he did name his Rearden technology incubator that has given birth to OnLive after Hank Rearden's company Rearden Steel. I have to admit I like such people like Steve Perlman who risk destroying their creation, their baby, to follow their dreams, though they often fail. What I dislike are people without a backbone who slur around on how they are the best and throw dirt at others wherever they can. I guess I'm out of place in capitalism.